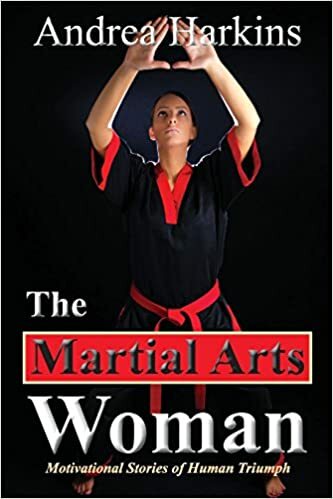 The Martial Arts Woman shares the stories and insights of more than twenty-five women in the martial arts, and how they apply martial arts to their lives. Unlike most other martial art books, the reader will catch a glimpse into the brave and empowered woman who dares to be all that she can be. Many of these women had to overcome great societal or personal challenges to break into the men’s world of martial arts. This book will motivate and inspire you to go after your goals in life and to fight through every challenge and defeat every obstacle. The Martial Arts Woman will open your eyes to the power of the human spirit and the martial art mindset that dwells in each of us! This is a much needed book that is very well executed. The martial arts can appear to be a very masculine affair from the outside (and even from within at times). Testosterone, muscles and two guys beating the living daylights out of each other are images that leap to mind for most. The martial arts can be much more than that though. They can be an empowering way of life; for men and women alike. We take the lessons learnt in the dojo – lessons in resilience, discipline, commitment, strength and adaptability – and apply them to our lives. Life can be as brutal and challenging as any fight. Gichin Funakoshi – often called “The Father of Modern Karate” – said, "One whose spirit and mental strength have been strengthened by sparring with a never-say-die attitude should find no challenge too great to handle. One who has undergone long years of physical pain and mental agony to learn one punch, one kick, should be able to face any task, no matter how difficult, and carry it through to the end. A person like this can truly be said to have learned karate." I agree! The contributors to this book have embodied that martial spirit in the tales they share. Their stories and insights also embody a true femininity. A femininity of strength, determination, compassion, insight and power. This is a book written by warrior women and it will inspire all who read it. As I write this, the love of my life – herself a Martial Arts Woman – is pregnant with our daughter. Our daughter will be educated in the martial arts, because we both want her to be a Martial Arts Woman too. The lessons outlined in this book are exactly the ones we wish to impart to her though the martial arts. It’s a joy to read this coming together of martial values, life lessons, and feminine strength.